The open house has been announced for the Gila Valley Arizona Temple, which was announced in General Conference just two years ago. The open house will start on Friday, April 23rd, and run through Saturday, May 15th. The dedication will take place on Sunday, May 23rd, 2010. Because the construction of this temple was announced just in April of 2008, with groundbreaking in February 2009, this may be the fastest construction of a temple in history. Does anyone know of a temple that was constructed in a shorter time than this one? The temple is constructed on the exterior with architectural pre-cast concrete. Art-glass designs accentuate its windows. Interior materials include maple and cherry wood from the United States, along with marble and limestone. Interior murals depict local river, desert and mountain landscapes. The Gila Valley temple will be the 132nd temple of the Church. 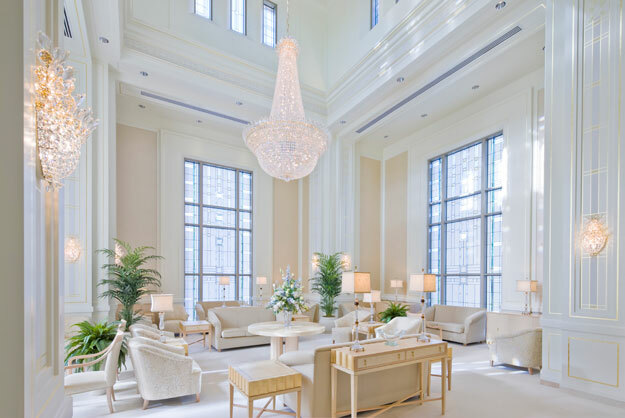 I’ve noticed that the design of this temple’s celestial room seems more simple to that of some other recent temples, such as the Vancouver British Columbia Temple, which will have its dedication on May 2nd; the difference between architecture firms perhaps? Our Temple in Anchorage was started and completed in 9 months. The Regina Saskatchewan Temple groundbreaking was on November 14, 1998. It was dedicated on November 14, 1999. 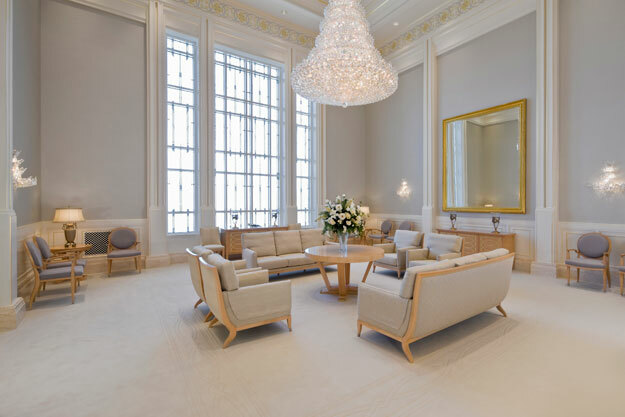 The Monticello Utah Temple was announced on October 4, 1997 and dedicated on July 26-27, 1998. From announcement to completion was only 9 months 22 days. From groundbreaking to completion was only 8 months 9 days.